Australia imports about 2000 tonnes of hazelnuts a year, worth around $10 million dollars, but only grows around 200 tonnes. So there are currently less than 75 hectares of hazelnut trees planted commercially. Based on a yield of approximately 2500 kilograms a hectare, Australia would require about half a million trees, or 800 hectares planted, just to replace import levels. This is before considering the export potential from our “clean & green” environment, relatively low in pest and disease issues. The above figures do not include hazelnuts imported in mixed nut form or as oil. Imports include in-shell nuts and kernel either whole or broken, diced, sliced, meal, butter or paste. Major users include chocolate manufacturers such as Ferrero Rocher, Cadbury Schweppes and Nestle, as well as many smaller boutique manufacturers. Hazelnuts are distributed throughout supermarkets and health stores, either in-shell, roasted or raw. They are used by bakers, chefs, food manufacturers and confectioners, and can replace most other nuts in recipes. 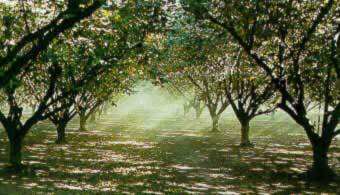 Since Australia currently imports the majority of its hazelnut requirements, there is a great opportunity for import replacement by planting, cultivation and distribution of fresh hazelnuts. "Fresh" is particularly noteworthy as most imported nuts are several months, or even as much as two years old, at time of importation. Hazelnuts are rich in fibre, vitamins, minerals and other nutrients, contain no cholesterol and are an excellent source of monounsaturated and polyunsaturated fats. Hazelnuts have an excellent flavor and very suitable for use as a healthy snack food. There is an excellent opportunity for the planting, growing and cultivation of an Export Crop in the Southern Hemisphere. This would allow the major Northern Hemisphere producers to have at their disposal a second crop midway through the year which would greatly enhance their cash flows. Recent years have seen very impressive price rises worldwide due to the growing demand for Hazelnuts for use as a “Health Nut” combined with an upsurge in confectionary use. 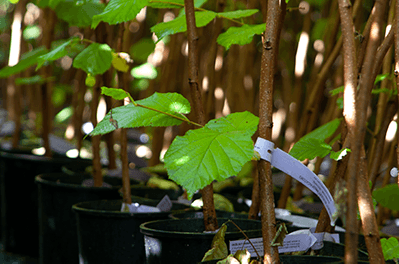 Hazelnut Nursery Propagators (HNP) is the largest propagator of its type in Australia - producing true to variety planting material for the developing Australian and Southern Hemisphere Hazelnut tree Industry. 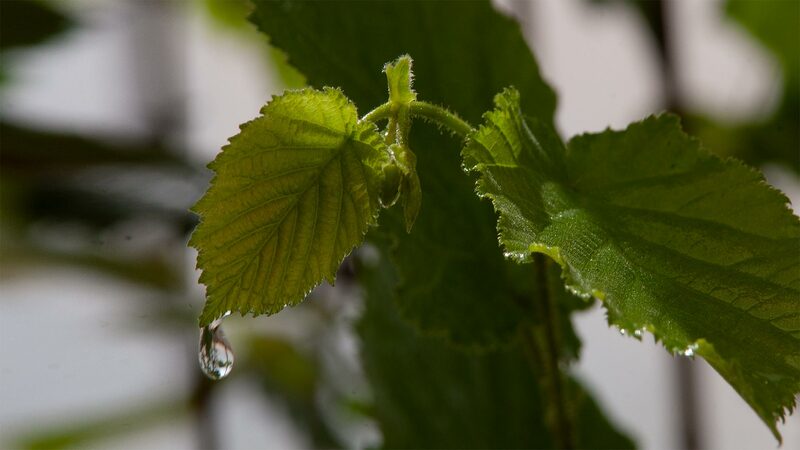 HNP propagates 10 varieties of hazelnuts and six of these are suitable as main crop varieties.